Posted by admin in Gran Canaria, Spain. 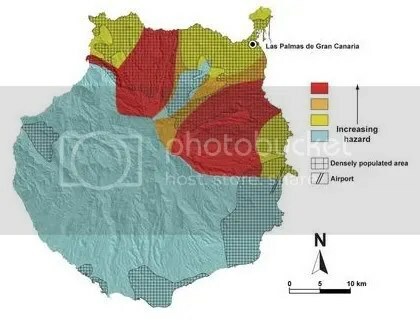 Researchers have compiled a comprehensive study of volcanic activity on the island of Gran Canaria from 11,000 years ago to the present day and used the data to produce a new hazard map of Gran Canaria (see above), indicating the areas of potentially greatest volcanic risk in the future. The findings are published in the Journal of Quaternary Research (full reference below). We have identified 24 volcanic eruptions that have occurred over the last 11,000 years on Gran Canaria. We know that the volcanism was concentrated in the northern area of the island and produced small monogenetic strombolian cones (eruptions of little violence, emitting lava and pyroclasts) and, occasionally, phreatomagmatic calderas (expulsion of ash). The research involved advanced Digital Terrain Modelling which revealed geomorphological changes produced by volcanic activity and the precise mapping of individual units of volcanic activity and their products. Combined with geochemical and stratigraphic data this enabled a detailed picture of the unfolding of volcanic activity on the island during the Holocene. 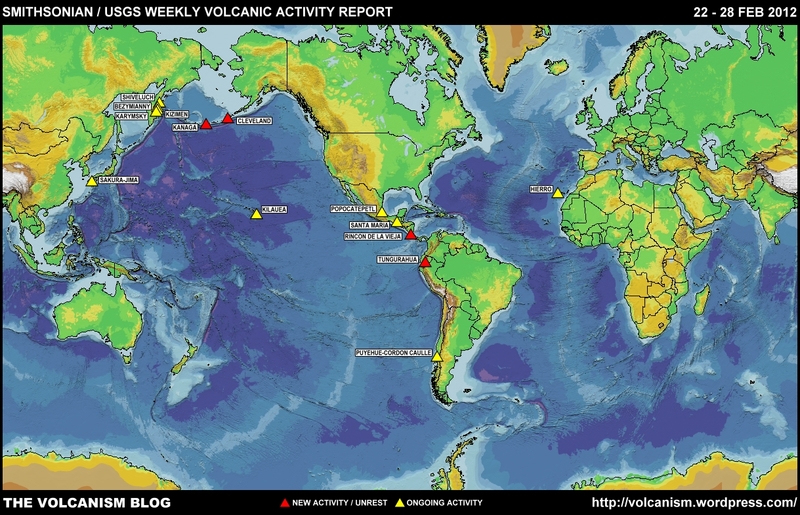 The new findings highlight that during the Holocene there were three clusters of volcanic activity ‘separated by four periods of inactivity’. The earliest occurred over 10,000 years ago and consisted of a single eruption in El Draguillo, to the east of the island. The other eruptions occurred between 5,700 and 6,000 years ago, and between 1,900 and 3,200 years ago … the researchers explain that currently ‘the number of eruptive centres is increasing and the periods of volcanic inactivity are becoming shorter’. In the same way, they also warn that over the past 11,000 years ‘the amount of magma emitted and the explosiveness of the eruptions have been increasing’. Ironically, however, the researchers note that damage to the island’s ecosystem may restrict the impact of future volcanic activity. The deforestation of Gran Canaria and the over-exploitation of limited water resources has left the island very dry, reducing the chances of water interacting with magma to produce explosive activity. The next eruption in Gran Canaria, which may be in ‘200-300 years’, is expected to be a strombolian event: quiet, non-explosive, with no casualties expected. Rodríguez-González, Alejandro; Fernández-Turiel, José L.; Pérez-Torrado, Francisco J.; Hansen, Alex; Aulinas, Meritxell; Carracedo, Juan C.; Gimeno, Domingo; Guillou, Hervé; Paris, Raphael; Paterne, Martine. ‘The Holocene volcanic history of Gran Canaria island: implications for volcanic hazards’ Journal of Quaternary Science, vol. 24, no. 7 (October 2009), pp. 697-709. DOI: 10.1002/jqs.1294 (abstract). UPDATE. A translation into English of the SINC (Servicio de Información y Noticias Científicas) news release is available at EurekAlert: Volcanic hazard map produced for island of Gran Canaria.